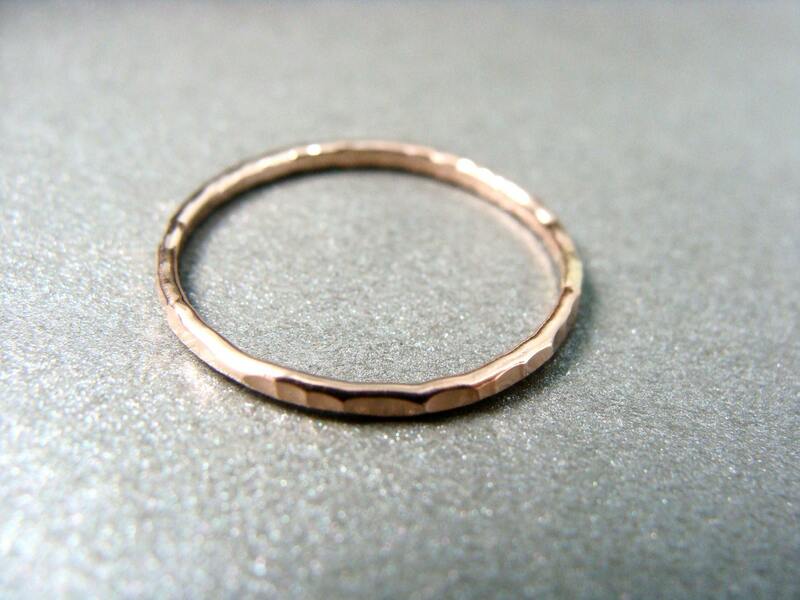 This delicate solid gold ring has been hand formed and textured to reflect the light. 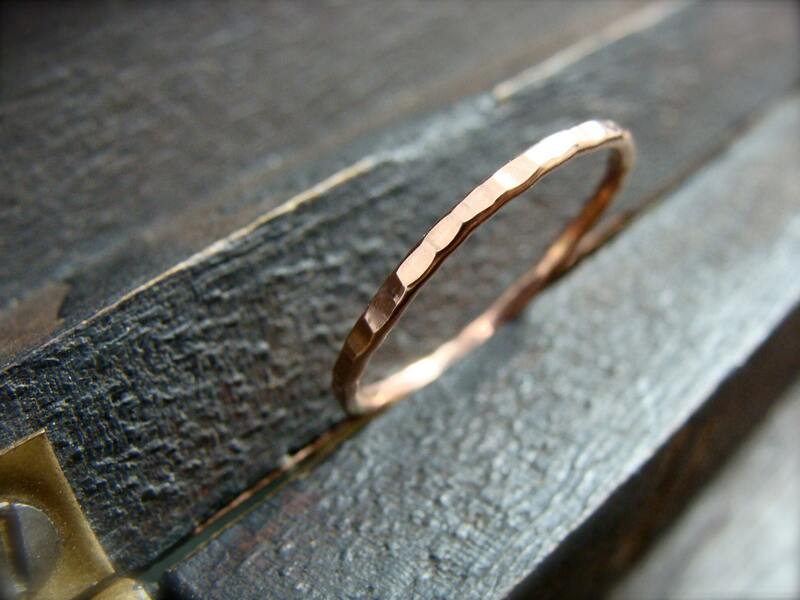 Beautiful worn alone or stacked with other rings in your collection. 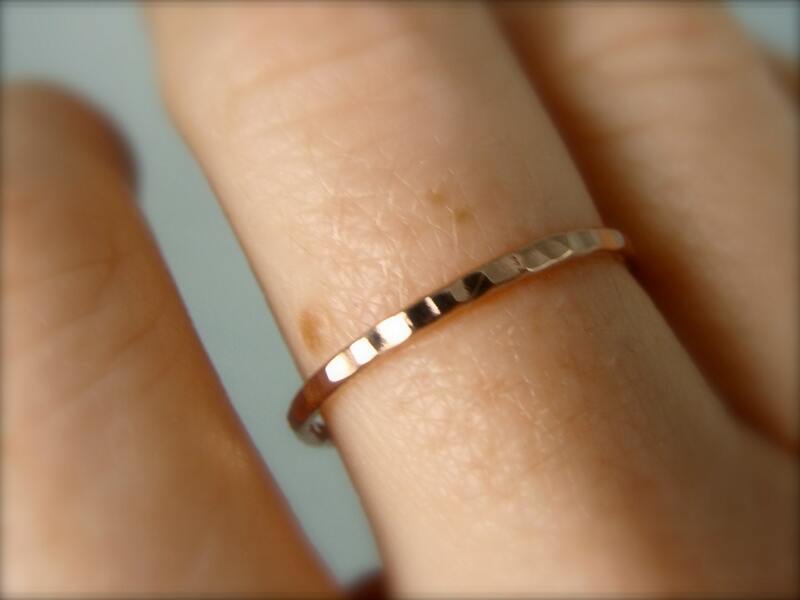 The band ring is 1 mm wide. 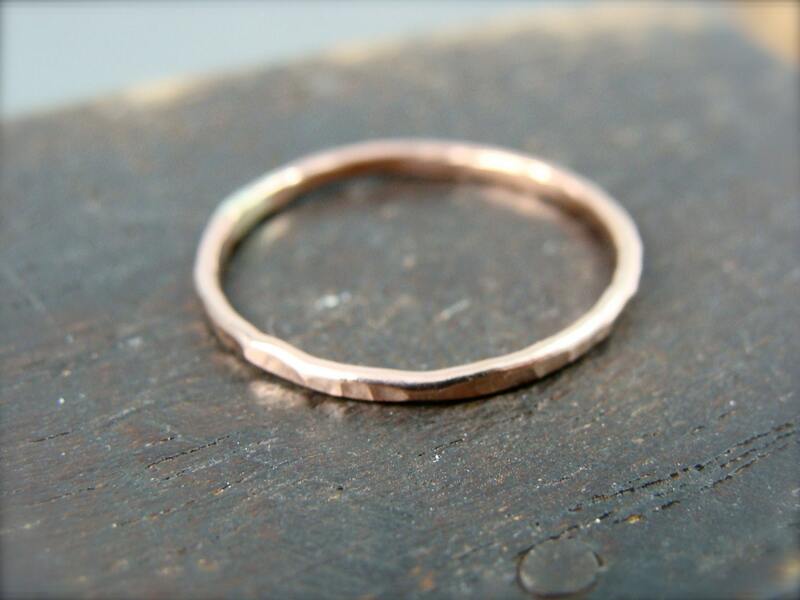 This ring can also be made with a smooth finish. 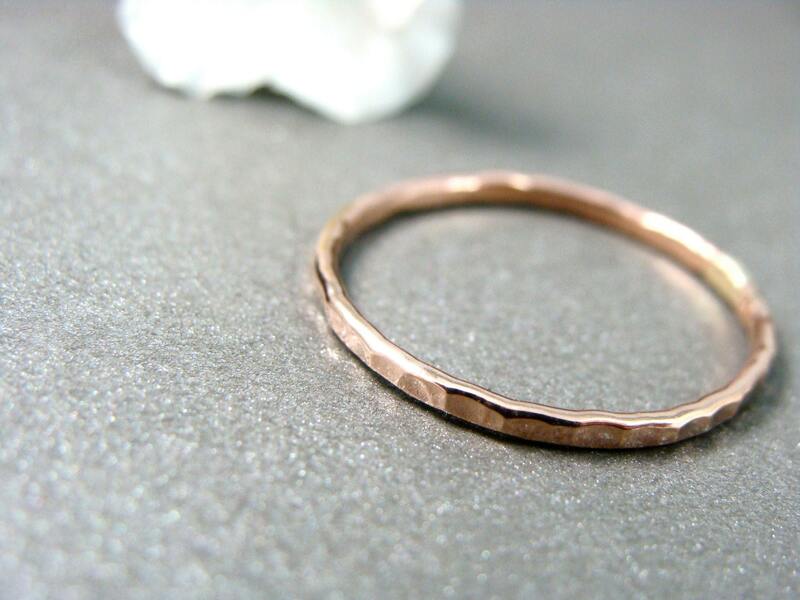 Have a look around my shop for the 14k yellow and rose gold versions of this ring. Thanks!There will be a $30. restocking fee for size exchange. Thanks!